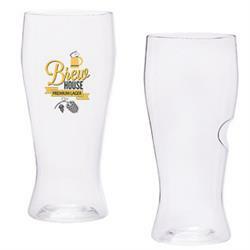 The Govino Pilsner Glass will be well received by the recipient as it us reusable and dishwasher safe! The receiver will also appreciate the Govino name! The award-winning Govino beer "glass" is actually not glass at all. 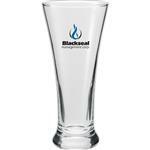 It is made from a food-safe, BPA-free polymer, which reflects a beer’s color and projects its aromatics much like crystal. 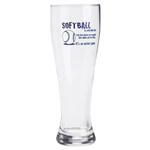 It's ideal for lagers, ales and weissbiers too. The unique ergonomic thumb-notch makes toasting most simple and best of all you can reuse them or even recycle them. Govino - great for outdoor activities and parties. All Govino orders must be imprinted - no blank orders permissible. All Govino Orders must me imprinted!